Every coffee experience is significant for me. The mere scent of coffee stimulates my senses. Caffeine was the only thing that kept me awake during my college days. 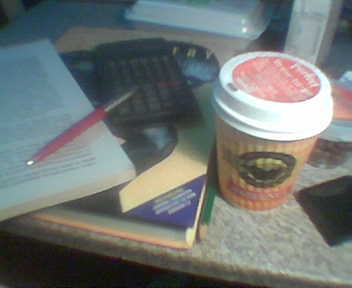 Coffee helped me survive the days of extra long quizzes, practical exams and extra-curricular projects. There was a time when coffee didn’t have an effect on me anymore. I stopped drinking coffee right after graduation to give my “bitter” taste buds some kind of ‘rest.’ About a month ago, my coffee abstinence ended. I had my first taste of Gloria Jean’s coffee during Maksim’s concert at PICC four years ago. Maksim’s piano concerto was more memorable than the taste of Gloria Jeans coffee. If not for the stickers Gloria Jeans gave away, I wouldn’t remember the name of the coffee company. When a GJ coffee shop opened a few blocks away from our office building, it became a big hit. I tried their Coco Loco iced blended coffee and it tasted good, but not at par with that of other coffee shops. The name ‘Coffee Bean and Tea Leaf’ is too long for a coffee company – no wonder some people prefer to go to “Seattle’s” or “Starbucks” or “Bo’s” (beat that two-letter name!) Products of CBTF are more expensive than other local shops. Their coffee servings are ‘so-so.’ Their teas, on the other hand, are delicious. I suggest they change their name to “T” (short for ‘tea’). That’s Ueshima Coffee Co. Their “Good Coffee Smile” tagline certainly fits the culture of ‘friendliness’ among their employees. In my recent visit to one UCC café, I was happy about the service. I’m happy that UCC offers more than bitter coffee, tasteless cakes and expensive candies. The setback: add more sugar to their bland coffee. For those who wants the all-American way of coffee life, Seattle’s Best is the perfect choice. I don’t remember the taste of the coffee but I cannot forget the ambiance of one SB shop. Buy their big big mugs. My college classmate gave me one and whenever I use that oversized mug, it’s as if it never runs out of coffee. Starbucks is the perfect coffee shop for me. Nothing beats that feeling whenever they shout ‘One mocha frapuccino for Earl.’ The whole Starbucks experience is very memorable for me. I wonder what makes that two-tailed mermaid so magnetic to Filipinos. 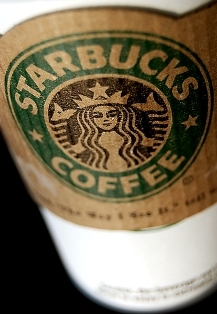 I’ve been to countless Starbucks branches – may it be in Manila, Baguio, or the expressway. I have a Starbucks planner, and I meet with my closest friends in that ‘free wi-fi socialization hub. For others, being in Starbucks is equivalent to flaunting. For me, it’s all about the simple talks ‘over a cup of coffee.’ To be honest, I cried, laughed, answered assignments and did thesis work while sipping an iced blended coffee from Starbucks. Coffee has always been part of my mornings. May it be brewed or the ones in instant 3-in-one packs, a cup of coffee will complete my daily ritual; sometimes, even at night, whenever I need to stay up late in order to memorize a whole Phylum of invertebrates for the next day’s exams. Thanks to coffee, I have stayed more awake than ever during classes. My observation is that whenever I skip drinking coffee, I get sleepy right away. This coffee obsession of mine has brought me to the finest [Starbucks, Gloria Jean’s and Seattle’s Best] coffee shops and other not-so-popular ones scattered around the streets of the university or the neighborhood [Coffee Indulgence, Café Dapits and Coffee Overdose] There’s no point of comparison because all of them have their own style of serving coffee lovers like me. It’s just enticing to hear “One Mocha Frappuccino for sir Earl!” at the Starbucks counter, or to see Gloria Jean’s’ waitresses smile at you, or to hear Seattles Best’s smooth selection of songs in their piped-in music. I really accomplish a lot of things over a cup of coffee even just here in my room. In fact, this week full of Chemistry assignments, Zoology quizzes and the overflowing reading tasks in Philosophy of Science passed swiftly for me (I don’t know how…) Moreover, flipping through the pages of a newspaper or just scribbling essays and poems become more invigorating while sipping a cup of a Hazelnut-flavored instant coffee I recently discovered. [click link!] Coffee is not bad after all. 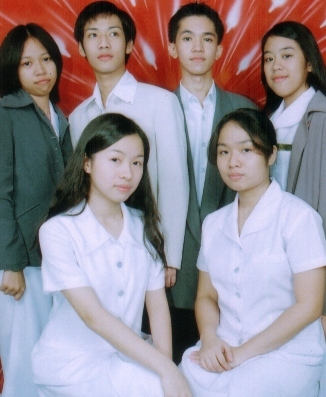 This week’s flashback: In our Social Dance class, our group got the highest grade . Yipee! I was informed by Ate Kitz of our college journal that I have been accepted to be part of the News team of the CSJ. Wow! Last Tuesday, me and a few of my blockmates went to Gateway Mall and had our group picture taken. The future: I won’t go home to my hometown this weekend. I’m going to stay and attend a debut party, a seminar, and a heart-to-heart talk with my books.